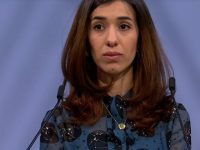 Next week, the Parliamentary Assembly of the Council of Europe (PACE) will vote on a Report and Resolution that proposes to adopt the controversial and internationally criticized policies of the French government towards minority religions so that these policies will be implemented regarding approximately 800 million people in the 47 countries that comprise the Council. Adoption of this legislation would represent a major step backwards for religious freedom in Europe and would be contrary to the human rights principles of religious freedom, non-discrimination and tolerance that the Council of Europe has long championed. For this reason, a few days ago I wrote a letter of concern regarding these draconian measures to the President of PACE in my capacity as Founder and CEO of the Institute on Religion and Public Policy, a non-partisan, inter-religious international organization dedicated to protecting and promoting religious freedom and fundamental rights. But the Institute was not alone in expressing serious concern. 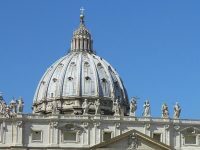 A few days ago, more than 60 distinguished academics, human rights advocates, NGOs [including the Institute], human rights groups, inter-faith groups, and representatives of minority faiths from the United States and Europe joined together in a forceful letter to strongly protest the proposals to set up “Sect Observatories” and establish “sect awareness sessions” throughout Europe. Indeed, the concern has become so strong that individuals have initiated a petition to PACE to vote down the repressive legislation. 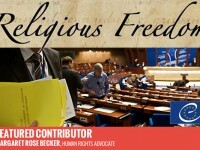 In addition, 2 NGOs, the Forum for Religious Freedom Europe (FOREF) and Coordination of Associations and People for Freedom of Conscience (CAPLC) filed a complaint to the Secretary General of PACE against the proponent and author of the report, French MP Rudy Salles for violations of the Code of Conduct for Rapporteurs of the Parliamentary Assembly, on the grounds that Mr. Salles has not acted objectively and impartially as required by the PACE Code. Mr. Salles was appointed to the Board of MIVILUDES in 2012. The former President of MIVILUDES, Georges Fenech, has referred to Mr. Salles as a “pioneer of the anti-sect fight in France”. When Mr. Salles was appointed as Rapporteur, he made a joint statement to the media with Mr. Fenech, announcing the appointment and noting that one of his goals was to create a European Observatory on “sects”, a European MIVILUDES. This represents a woeful lack of impartiality and also provides the appearance that the Rapporteur was being instructed in adopting policies and actions by MIVILUDES in violation of the Code. Many good people and organizations are taking a stance against the Salles Report, Resolution and Recommendations because they contravene accepted human rights standards in the Council of Europe. They also contravene the PACE Code of Conduct for Rapporteurs as it is neither neutral nor impartial. If you agree, sign the petition to the Council of Europe against the Report and contact your MPs at PACE, urging them not to vote for the Report in order that the rights of parents and their children to religious freedom and religious tolerance are respected. Joseph K. Grieboski is the Chairman and CEO of just CONSULTING and Founder/Chairman of the Board of Directors of the Institute on Religion and Public Policy. He is the Founder and Secretary-General of the Interparliamentary Conference on Human Rights and Religious Freedom. Mr. Grieboski holds both a Bachelor of Science in Foreign Service degree and a Master of Arts degree in National Security Studies from Georgetown University. In 2008, he received an honorary Doctorate of Humane Letters from Marywood University.